Who would believe the weather we’re having right now? No idea whether global warming is to blame, but nobody can deny that it’s been a great time for motorcyclists. But as most of us in the UK tend to dress for more inclement conditions, many of us have reached melting point as we negotiate the highways and byways of our sceptred isle. Which is why single-layer jeans and mesh jackets have been so much in demand in recent weeks. The problem is that the simpler and less expensive mesh jackets out there don’t tend to be very protective. They might have armour, but there’s often not a lot of strength in the outer fabric, and almost nothing in the mesh itself. For those wanting better protection, there’s the Rukka Forsair but, at £399.99, it’s not cheap, although we could make a case for it being good value. Well this week we’ve received a new mesh jacket from Halvarssons called the Flux. In typical Halvarssons fashion, it’s a bit different. Most mesh jackets are all about the mesh, with little thought having gone into the jacket itself. Well the Flux looks and feels more like a proper biking jacket, albeit one with a large mesh area across its front. But in other respects, the Flux is built like any Halvarssons bike jacket. In key areas, it is reinforced with Hi-Art for extra abrasion resistance. It comes with Level 2 armour in the shoulders and elbows, and it has a pocket for a back protector (we recommend the D3O T8). The jacket has sleeve and waist adjusters and reflective panels, and it can be zipped to any Halvarssons (or indeed Rukka) pant. Use the Waist Zip, and it can be attached to any pair of jeans as well. Obviously, in the rain, it’s going to be useless, but the Flux is all about the hot and the dry, not the cold and the wet. If you’re of a cautious disposition, take a waterproof jacket with you. The Rukka aside, this is the strongest mesh jacket out there. There are cheaper mesh jackets around, but £240 for a proper bike jacket with mesh inserts doesn’t seem a fortune to us. And certainly not if safety is your priority. Stadler is a class act. They make the best touring and commuting suit money can buy, in our estimation. They supply riding gear to every single German police force and, with a 10 year warranty on all its outfits, you can be sure that you’re buying gear that you can rely on. Well this week, we’ve received their new, summer, vented glove, that is called, quite unimaginatively, the Vent! It’s probably the most protective, vented glove you’ll ever find. It’s made from cow and kangaroo hide, has a Kevlar lining on the back, and comes plastered with panels of Superfabric for added abrasion resistance. But, despite all this, it’s really well vented, with perforated leather and web mesh panels on two fingers and the thumb. 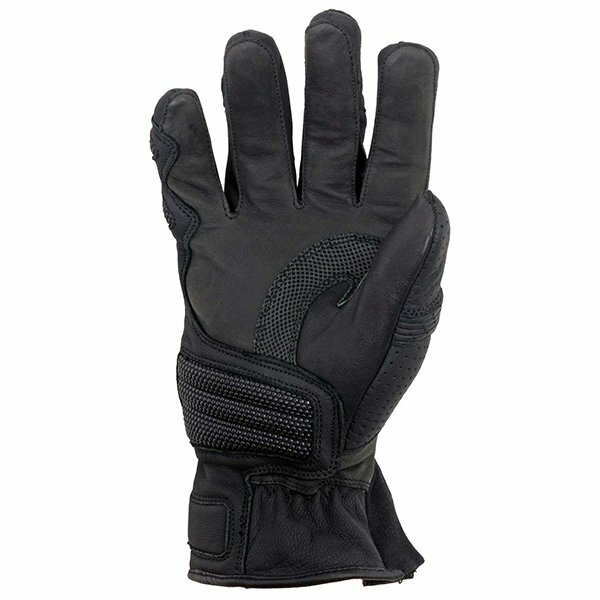 We reckon that it sits somewhere between our recently launched Police glove, and the Rukka Forsair. 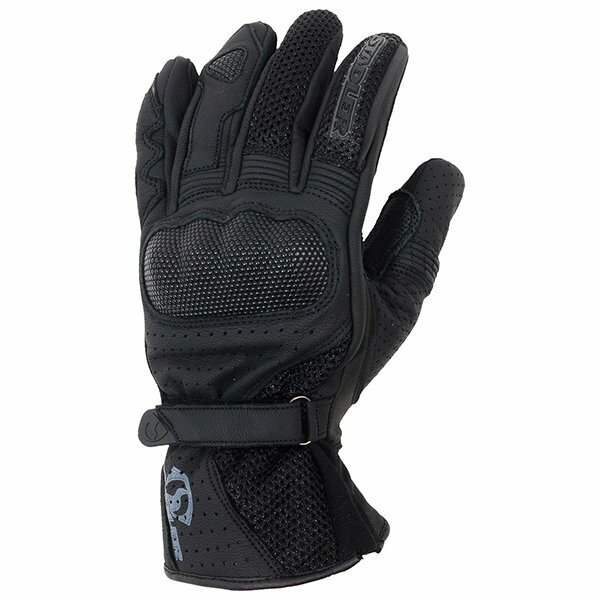 It won’t flow air quite as well as the Forsair, but it is a more robust glove. In terms of protection, it’s pretty comparable to the Police glove but, obviously, it will flow the air better. If you’re looking for a supremely protective glove that provides reasonable levels of cooling, then the Vent is worth a look. It’s really comfortable to wear and, as you would expect of Stadler, it’s beautifully put together. We sell more Rokker gear than anybody in the world. And for us it’s easy; we simply love what these guys do, and what they produce. If Rokker makes something, you can pretty much bet that it’s the best you can get. They don’t do compromise; they don’t cut corners. Their Urban Racer boot is already the stuff of legend. Made from greased, vintage cowhide, these boots are designed to protect, and they’re designed to last. And, even though they technically aren’t waterproof, in that they don’t have a membrane, the leather has been treated in the tanning and, as a result, they perform impressively well in the rain. Well, so popular have they been that we’ve decided to import a new model called the Gentleman Racer. It is, in effect, the same boot, but it’s differently styled to make it more acceptable for business or office wear. The toe has brogue’d wing-tip detailing, a feature that is picked up around the heel and ankle areas. 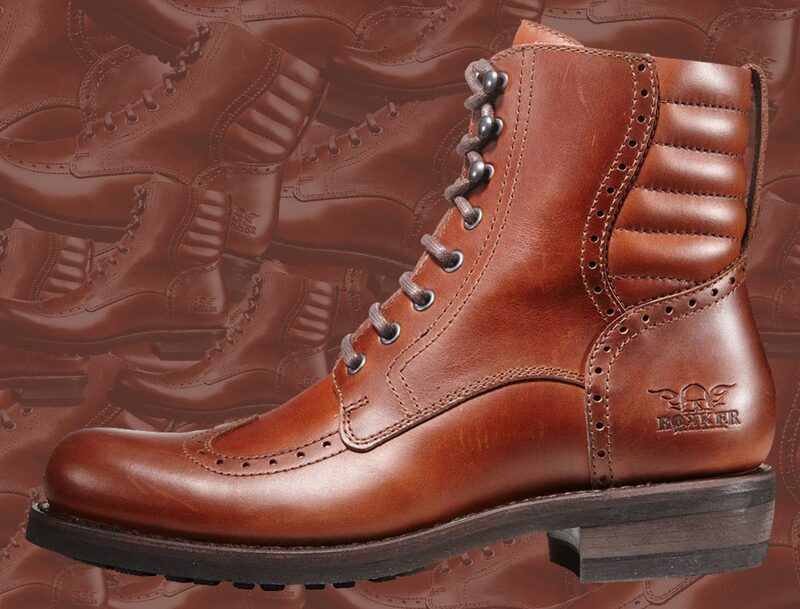 The leather that Rokker has used on the boot is also a little bit more suitable for polishing. Of course, everything else is as you might expect; from the Goodyear welted, Vibram sole to the heel, toe and shin protectors. It’s a helluva boot, and now it’s helluva smart too. It’s currently only available in brown, but if enough people want it, we may also bring in the black version for an even more formal look. We have only been offering Shoei helmets for a year or two but, to date, every helmet we’ve been involved with has been a winner. 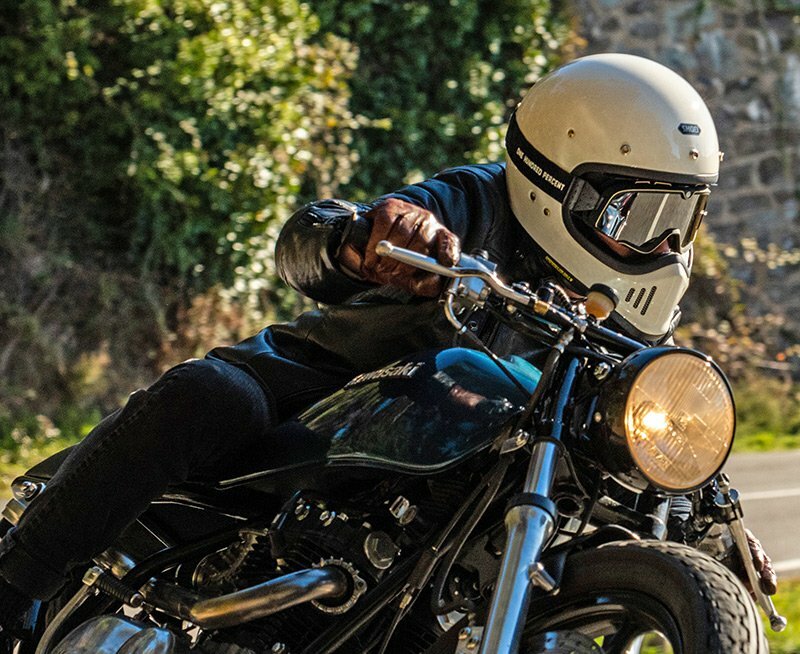 The J.O is the best open-face helmet by a country mile. The RYD is a full-face helmet that is a match for any helmet; even those twice its price. Whilst the Neotec 2 has raised the bar on flip lids to a new unprecedented level. Well their latest release is the Ex-Zero. 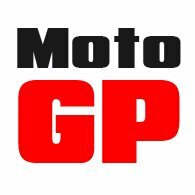 It’s a Moto 3-style helmet for road riders. It’s for those who want that wind-in-the-hair feeling without the exposure of a full-face helmet. Based on the internals of the J.O., one thing we know is that, unlike the Bell, it’s going to fit superbly. We already have the different thicknesses of headliner in stock. The cheekpads in their various sizes are still a few weeks off. The Ex-Zero is very much based on the helmet that Shoei made in the eighties, but with its AIM shell, it’s going to be both light and incredibly strong. But the pièce de résistance for the Shoei is its drop-down, internal visor that means you can protect your eyes from bugs and the like. We have been excitedly awaiting the Ex-Zero for a month or two, and we’re thrilled it’s now here. There are many helmets out there that look similar but, without doubt, the Shoei will be the best, the safest, the most reliable and the most comfortable. As ever, if you want to be properly fitted, you’ll need to come and see us, because very few other bike shops will carry the internal parts. And, by the way, if you do end up needing different cheekpads that are not yet available, we’ll swap them over for free when they do arrive from Shoei. Resurgence New Wave single-layer jean is finally here! I managed to get a couple of days away this week, but when you run your own business you're never really out of the office. And so it was on Friday. I had been sent a test of this week’s ‘What’s up Pussycat’, and was about to sign it off when a text came through: ‘The Resurgence New Wave jeans are arriving with us this afternoon’. So after much ado and many delays they’re here. If you’ve been thinking about them, now is the time to act. Order a pair online, and you should have them by Tuesday. Better still come and visit us in Guildford and we’ll fit them, meaning we’ll make sure the armour works, and take them up for free if required. These jeans have an amazing spec.. They’re single layer, so will be easy to wear. I’ve been testing them for weeks, and have found that I could work in them all day without a problem. But their standout feature is an 11 second ‘slide time’. There’s not ever been a jean to match it; lined or unlined. Now 11 seconds is more than twice as long as the slide time for leather. It’s way, way more than you’ll ever need, as indeed is the case from the Rokker Rokkertech jean. 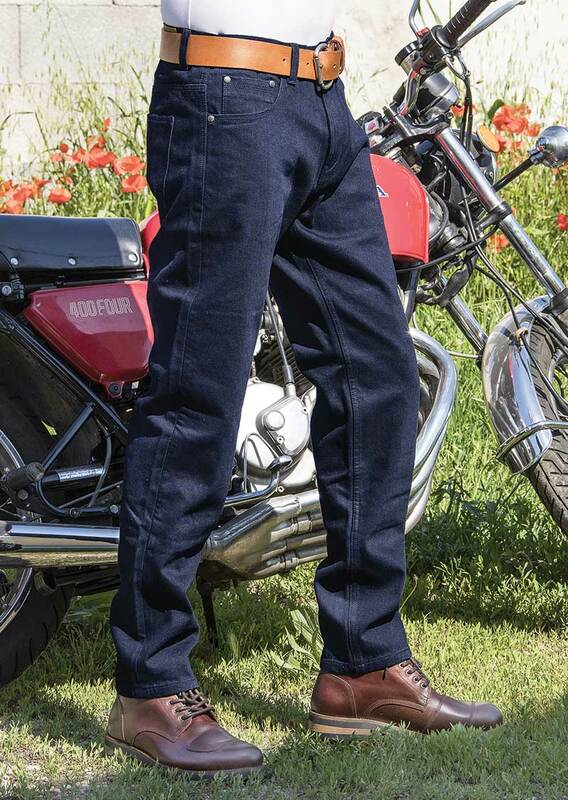 But if you simply fancy wearing the safest and strongest single-layer jean on the planet then this is it. EN1359 Level 1 certification is, we are told, in the bag. Official confirmation will follow shortly. If you want to know more about the New Wave jeans, click here. Or, to order a pair, click below. The wait is finally over.